I've got my first ever haul on my blog! I've always wanted to do these but never really knew how to go about this. I never seem to buy things in bunches. I just buy the occasional stuff. 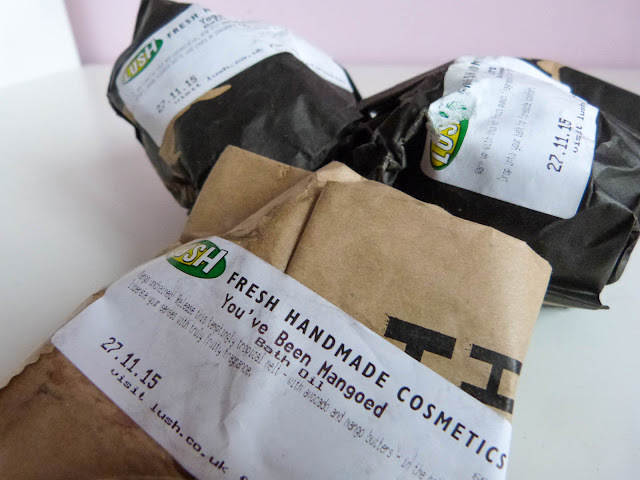 I've taken a trip to the Nottingham Lush store recently and purchased a few items which I haven't tried before. Now the catch up is because I haven't actually used any lush goodies in a long while so I felt like I had to go and just splurge so I'm more caught up. I've also received some lush goodies for Christmas including the lip products which I'm so excited to use! 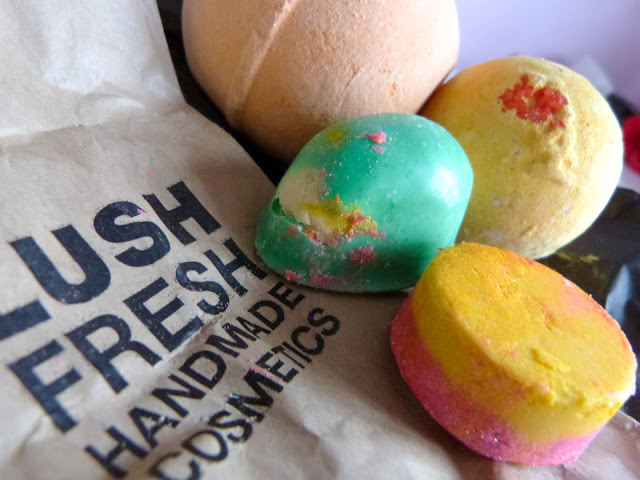 I generally just buy bath products from lush as that's one of the first things that I ever bought from lush and I guess I've always just stuck with it. 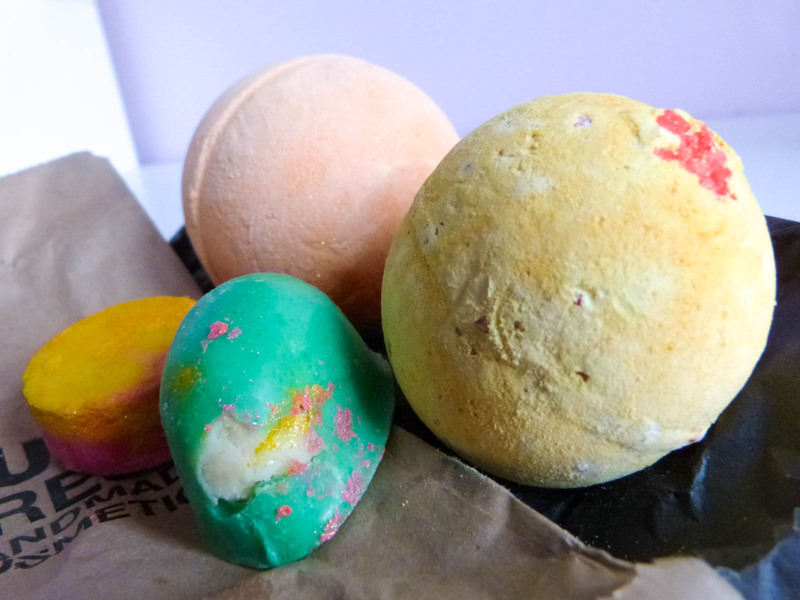 My daily bath might have something to do with my favouritism towards strictly bath bombs. I feel like using a bath bomb or bubble bar makes the bath just that bit more luxurious. I think some of these items are only available during the Christmas season so they might not sell them anymore. I've already tried a couple of these and I'm so happy with them. 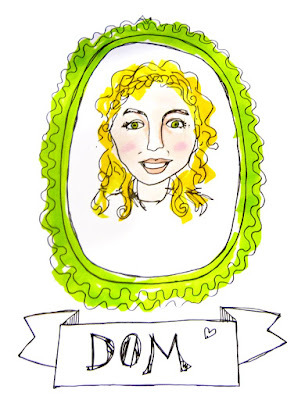 My favourite must be the magic wand. It's the first time that I've tried a bubble bar on a stick and it's so fun to use. This bubble bar also tints the bath p ink which I love! I think most bubble bars do but I always use the tiniest bit off it so it never does. I really like the lip products too. I don't normally use lip scrubs so it was just effort to use it at first but now I think that I like it. At least it tastes good. The lip tint is nice as it's subtle. I'm not one for subtle but on a day when I don't want to wear bright red lip sticks or anything like that I can wear this. There's a selfie on Instagram and I'm wearing it. It kind of made my lips look plumply and I had good make up that day hehe. So that's it for this haul, I hope you liked it, let me know if you want to see anything like this again. I want to do a clothes haul at some point.